The Mountway Solo Toilet Lift is a functional, unobtrusive solution to toileting independently. The slimline, battery-powered lift mimics a natural standing movement, gently lowering and raising the user on and off the toilet at the simple touch of a button. Using the toilet lift is simple with an easy-to-use operating switch built into the right hand arm. 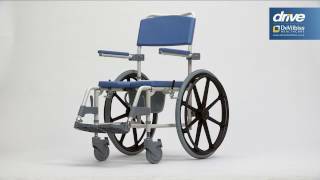 (left hand version can be supplied also) The arm rests provide added support and comfort to the user. The armrests can be raised to facilitate side transfer and create more space in the bathroom if required. (If the armrests are not needed, a handset can be used to operate the lift). The Mountway Solo Toilet Lift’s compact and slimline appearance ensures it fits subtly into any bathroom setting without becoming the centre of attention. With minimum installation, the toilet lift can be placed over an existing toilet. This enables many users to toilet independently, thus providing a higher level of dignity and causing no embarrassment to the individual. 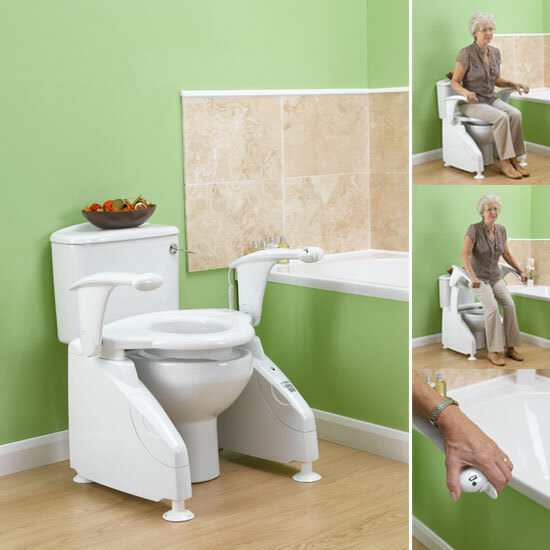 When in its down position, the lift functions as a normal toilet seat and can be used by any member of the household. The bathroom by its very nature demands products that are easy to clean. The Mountway Solo Toilet Lift has smooth wipe-clean surfaces that require no more cleaning than that of an existing toilet.